For the sixth year in a row, PSG partner Paul Gidus spent a week’s vacation during the summer of 2003 helping to build a home for a needy family in Tijuana, Mexico. 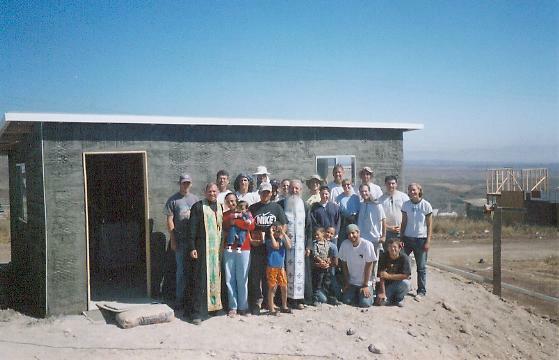 Called Project Mexico and founded by an Orthodox Christian who also developed an orphanage for Mexican boys, the organization uses the labor of willing volunteers to construct a home that provides basic shelter for a needy Mexican family. Measuring 11’x22′–the size of an average American family room, the uninsulated house consists of two rooms, a concrete floor, a flat roof, two windows and a door. There is no plumbing or electricity. The stud walls in the house are exposed. The building project took five days to complete by a group of volunteers from Florida and other parts of the country that Paul was part of. The new house was blessed for the family by an Orthodox Christian priest (a common practice with Orthodox Christians) who was part of the volunteer group. More information on Project Mexico can be found at www.projectmexico.org. 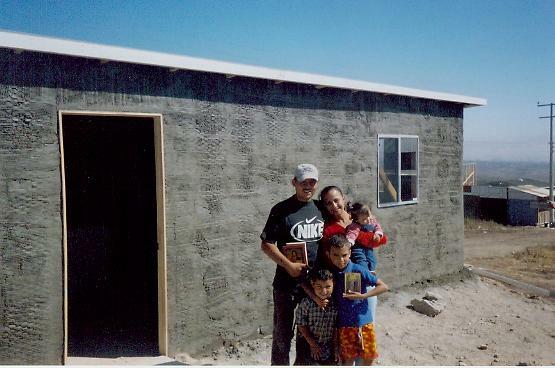 The family for whom Paul helped build a house in Tijuana, Mexico. 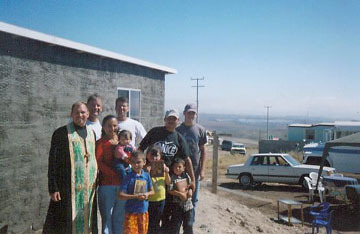 The volunteer group gathers with the family in front of their new home.